Psychedelics (from the Greek psyche: mind, delos: make visible, reveal) are substances that induce a heightened state of consciousness characterised by a hyperconnected brain state . The best known psychedelics are psilocybin (found in magic mushrooms), DMT (found in ayahuasca), mescaline (found in peyote and San Pedro cacti), LSD and 2C-B. Why do people take psychedelics? Studies suggest psychedelics could be a breakthrough therapy for mental health issues including depression, anxiety, addiction, OCD, and PTSD through their ability to work on a deep emotional as well as biological level. Matthew Johnson, who leads the Johns Hopkins University Psilocybin Research Project, says "Unlike almost all other psychiatric medications that have a direct biological effect, these drugs seem to work through biology to open up a psychological opportunity”. Psychedelics can also bring about profoundly positive and meaningful experiences for people who aren't facing any particular issue or difficulty. In a study by the Johns Hopkins School of Medicine, 80% of those who received psilocybin said it was one of the five most meaningful experiences of their lives; 50% said it was the single most meaningful experience. Many of the participants said they were left with the sense that they understood themselves and others better and therefore had greater compassion and patience - a change reported by their colleagues, friends and families too. Psychedelics may also improve creativity and problem-solving abilities. Apple's Steve Jobs said taking LSD was "one of the most important things [I did] in my life" , whilst Gregory Sams, co-founder of Whole Earth Foods, said "It was as a direct consequence of my brother and myself taking LSD that we introduced natural and organic foods in the UK." The classical psychedelics are not addictive and, whilst they can temporarily induce powerful mental effects, they are not toxic to the body like alcohol is. Unfortunately, many unfounded scare stories in the media have greatly exaggerated the risks. A 2010 study published in top medical journal The Lancet rated LSD and magic mushrooms as among the safest of 19 commonly used psychoactive substances; twelve times safer than alcohol and four times safer than tobacco. As for longer term safety, an unprecedented 2013 study of more than 130,000 people found that psychedelic use was not indicative of increased mental health problems . In fact, some use of psychedelics corresponded with lower rates of psychological distress. 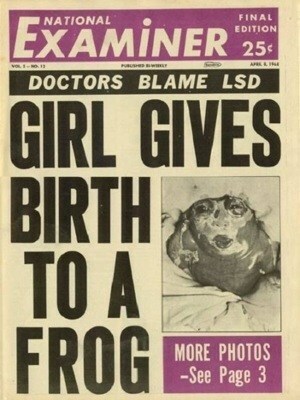 So why are psychedelics illegal to possess? Despite tens of thousands of years of use by humans around the world, psychedelics were abruptly made illegal to supply and possess by a UN convention in 1971 as a consequence of President Nixon’s War on Drugs. "You want to know what this was really all about? The Nixon campaign in 1968, and the Nixon White House after that, had two enemies: the antiwar left and black people. You understand what I'm saying? We knew we couldn't make it illegal to be either against the war or black, but by getting the public to associate the hippies with marijuana and blacks with heroin, and then criminalizing both heavily, we could disrupt those communities. We could arrest their leaders, raid their homes, break up their meetings, and vilify them night after night on the evening news. Did we know we were lying about the drugs? Of course we did." To this day, the UK government persists in claiming that psychoactive substances are classified on the basis of harm, but the House of Commons’ own Science and Technology Committee has described UK drug law as "arbitrary", "unscientific" and "based on historical assumptions, not scientific assessment", and the government's chief drug adviser was famously sacked when he pointed out that classical psychedelics are far less dangerous than alcohol. Interested in trying a psychedelic? We facilitate Psychedelic Experience Retreats in the Netherlands to allow people to explore the transformative potential of psychedelics in a safe and legal environment.